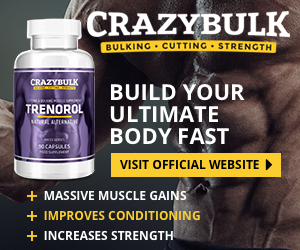 Methyltrienolone – Is it Safe? Methyltrienolone (MT) is a strong and toxic anabolic steroid that does not aromatize. Due to its hepatotoxic nature, it is rarely talked about, however, there have been some who have taken the risk and used this anabolic steroid. With so many milder steroids available this is one that should be avoided, none the less we will give you an overview of what this steroid is and what its capable of. Methyltrienolone is a steroid that binds strongly to androgen receptors, it is used in the studies of other androgens as a benchmark to understand how strongly a steroid binds to AR. Methyltrienolone is used as a benchmark of quality. Methyltrienolone is is a derivative of Trenbolone which has been modified to be orally active. The modification consists of adding a 17-alpha-methyl group. The potency has been measured to be between 120-300 times stronger than methyltestosterone. This steroid offers the greatest potency of any other oral anabolic steroid. Methyltrienolone was first investigated briefly in the 1960s and 70s as a possible candidate for treating advanced breast cancer in women. The studies were discontinued due to the fact that the steroid is very hepatoxic, even at low doses. Inspite of the studies, methyltrienolone was never been approved for medical use. By the mid-1970s Methyltrienolone was becoming the standard for non-human research studies for the purpose of androgen receptor activity. The reason being is that the steroid is so resistant to the bodies metabolism it doesn't interfere with the results of most experiments. Body tissue can quickly metabolize with most steroids, this can complicate studies when trying to understand what is causing a particular effect, using Methyltrienolone reduces many of the variables making it the primary steroid for research purposes. This is important because androgen receptors are found in muscle and fat cells, this helps promote cell growth, the stronger the bond is to androgen receptors the more effective fat burning becomes, this can have a significant impact on eliminating body fat. In simple terms the stronger the bond of androgen receptors is the easier it is to burn fat and gain muscle. Methyltrienolone is a 19nor compound just like Trenbolone so there will be side effects. While Methyltrienolone is an anabolic steroid you could still experience androgenic side effects. This could include facial hair, male pattern baldness, oily skin, and acne. Women should avoid this steroid at all costs due to its potentially strong virilizing effects which could cause clitoral enlargement, facial hair and deepening of the voice. Methyltrienolone does not aromatized so it's not extremely estrogenic, however, it can bind to the progesterone receptor, side effects from progesterone are similar to those caused by estrogen, these can prevent testosterone production and accelerate fat accumulation. It can also cause fat buildup in the breast tissues (gynecomastia) using an anti-estrogen could prevent some of these symptoms caused by the steroid. Since Methyltrienolone is a c17-alpha alkylated compound the alteration protects the drug from deactivation by the liver, this allows a lot of the drug to enter the bloodstream and negatively affect the liver. In rare cases, due to long term use, it could cause life-threatening liver damage. Even in low doses. So, in the event you should consider taking this oral steroid, liver enzymes should be closely monitored. It is also recommended that supplementation should be used to prevent damage, some may consider taking milk thistle which may help prevent damage to the liver. As with most anabolic steroids you can expect Methyltrienolone to play havoc with your cholesterol levels, it will have a tendency to reduce HDL (good) cholesterol levels and increase LDL (bad) cholesterol which over time can lead to arteriosclerosis, in this case since it is an oral steroid the tendency of it altering lipid values is much higher. Anabolic steroids that are used to increase muscle all have one thing in common and that is that they suppress your own bodies natural endogenous testosterone production. Methyltrienolone is not recommended for use for the purpose of enhancing physique or performance, this is obviously due to its high hepatoxicity. Those who are considering using Methyltrienolone should take into consideration that the possible liver toxicity from taking this steroid is Real. Those insisting on using this steroid should limit a cycle to no more than 4 weeks, in this case, less is better. The recommended dose is around 500-700mcgs per day. The half-life of Methyltrienolone is 4-6 hours. Since the steroid has never been fully tested in humans the detection time is unknown. 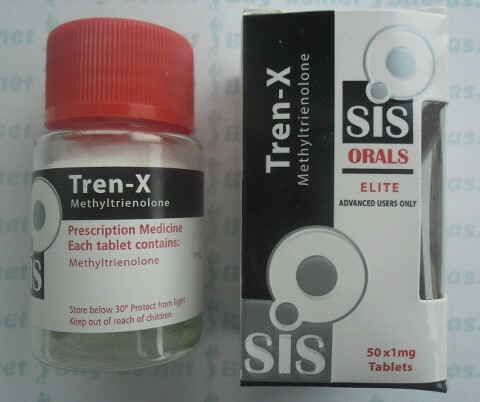 While Methyltrienolone has never been released to the public it is made by many underground labs, however, it is recommended that you use caution before buying this steroid online, not only do your risk receiving a counterfeit product you cant be sure of the legitimacy or its contents so buyer beware. Due to its hepatoxic nature Methyltrienolone was never released to the public, I'm sure there are some guys out there that may consider themselves superhuman and want to get their hands on this anabolic steroid, the truth is it would be a bad move, especially considering that there are other steroids like Trenbolone that deliver similar results with less pronounced side effects.